Now Listening To Kuroi Namida by Anna Tsuchiya. I think Anna Tsuchiya is a beauty. How can anyone be so much in emosi? And he gave a link to Posh's horror picture of her boney neck. 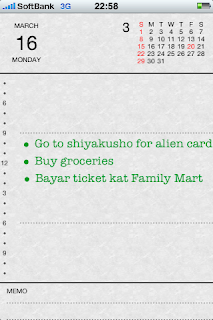 Thank you la banyak-banyak, now I can never rest without glancing over my own to check. Sheesh. I now have two pairs of skinny jeans that I love, finally :) Dah dah jangan memandai nak browse dah, you'll regret it I mean it. I think I need to be patient till next month, till we're back from Korea, till class starts. When we went to the Kashmir restaurant, the waiter dared to touch my hand and said "makan lah". I don't know why it bothers him so much that I don't eat much, but to touch my hand?? I'm never going there again. Or maybe he was just being friendly, but still. Oh and I met our former Head Girl there with her friends. I don't think we ever talked at school but she knows my name. I wanted to add more but no spaces left. Ade ke. Punye lah banyak white spaces tuh. Hantu punye app. 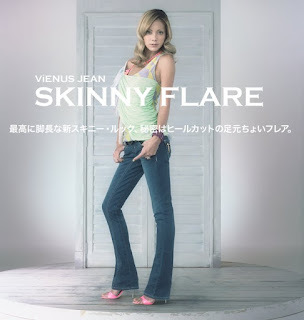 I found Anna Tsuchiya's ad for Edwin's Vienus jeans. The jeans are seriously the best, I think even better than Levi's, kot. Lawa gile the pictures don't do it justice.